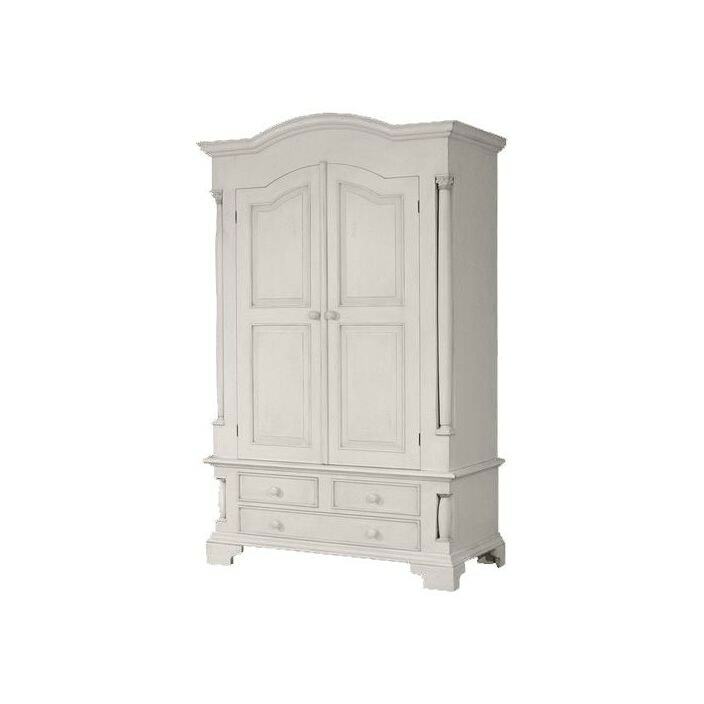 This exquisite wardrobe from our ever expanding range of antique French furniture is hand carved and finished in a luxurious antique white. The beautiful french classic style furniture has been made to give an antique, used but unique look and creates a wonderful image of the past. Featuring a hanging rail and three lower drawers, this wardrobe will provide elegance and brighten up your bedroom in an instant.